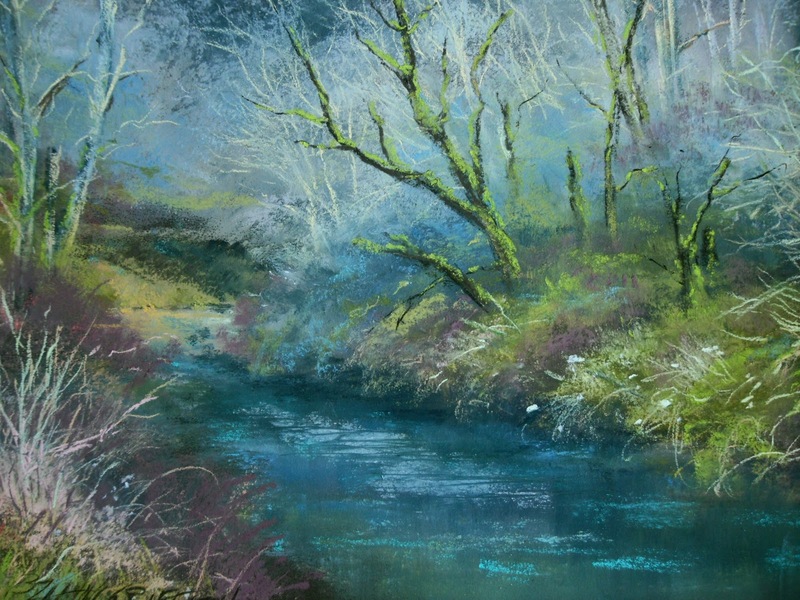 I have the pleasure to be part of the Northwest Pastel Society Board. I have been seeking out galleries for future shows and I must say that I have had a great time visiting with gallery owners/managers who might host one of our shows. I have visited with several galleries throughout WA and OR – mostly the greater Seattle/Tacoma area and the Portland, OR area. One gallery owner that I met this year is Rick Kirsten of Kirsten Gallery in Seattle. His Kirsten Gallery in the University district of Seattle is great. It is a unique multilevel gallery space that is interesting and welcoming from the moment you walk in the door. I stopped in one day this summer and saw the Marine Painters show and to check the gallery space out for a NPS show. The staff was great and the ambiance of the gallery wonderful. I am looking forward to the NPS members show being at Kirsten in April of 2011. 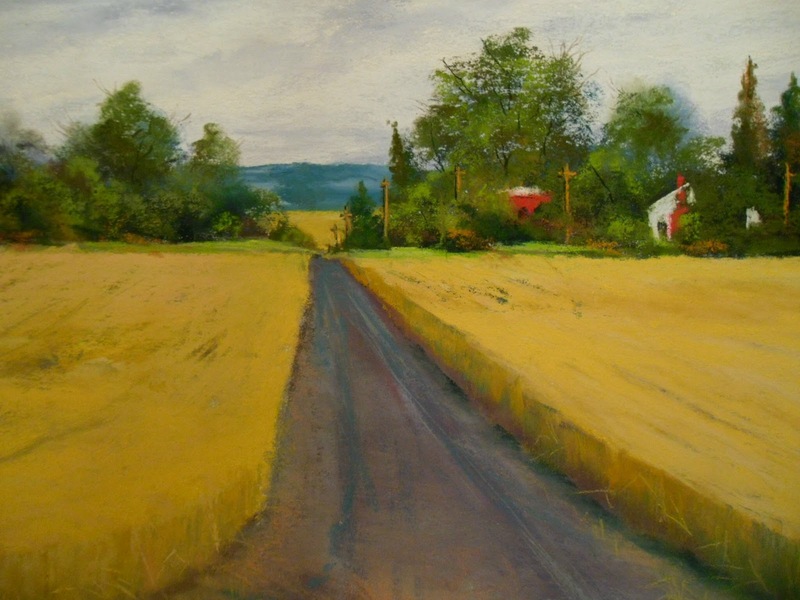 Another gallery that I love to go to and have exhibited at is the Pendleton Center for the Arts. Overlooking downtown Pendleton, OR from it’s spot next to the Umatilla River, this gallery welcomes you the minute you walk in the doors. The beautiful light filled gallery with bamboo floors and white walls show work so well. A few years ago I did a show there called “A Hundred Mile Radius”. 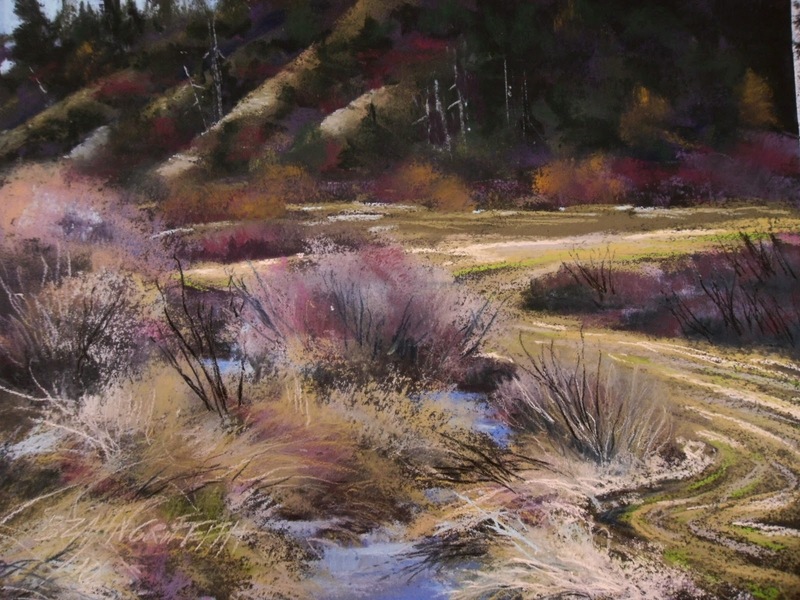 It was a show of 23 landscapes, all images of the lands within 100 miles of Pendleton. This gallery has a wonderful shop of artisan items for sale as well as a performing arts area and great workshop space and more. This art center was once a Carnegie Library and was renovated into a first class gallery. I am prepping for our 3rd annual Open Studio Art Sale. This year I am moving it to the first weekend of December to coincide with the Winter Barrel Tasting event for the wineries in Walla Walla. We will move furniture around and out to accommodate easy access to the wall space on the main level of our house, hang lots of art, salon style, brew some good coffee and have some treats available and enjoy the two days visiting with friends and art lovers who happen to come by. I am encouraging visitors to bring something for the Food Bank as well – something nonperishable to donate to the bank in the spirit of the annual Care and Share Food Drive the Walla Walla Association of Realtors does each year. Each person that brings some food item for the drive will get to enter a drawing for one of the series of 100 paintings. I will have a good variety of sizes and prices of art – mostly the pastels, but I may hang a few mono prints and oils as well. 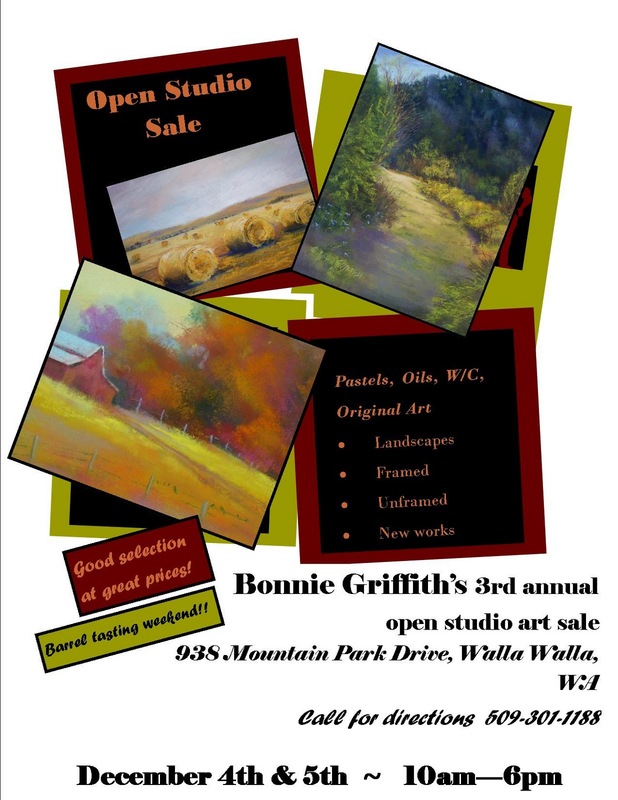 So if you happen to be in the Walla Walla area December 4-5, stop by 938 Mountain Park Drive and enjoy some art and conversation over a cup of hot coffee or tea! With Thanksgiving this week, enjoy the time with friends and family and for those of you artists out there, be sure to take a little time and spend some time for yourself immersed in your art! Happy painting and Happy Thanksgiving! So on the last post I was talking a little bit about how lights affect photographing paintings. Because this is so dramatic on this piece I wanted to illustrate that for my readers. 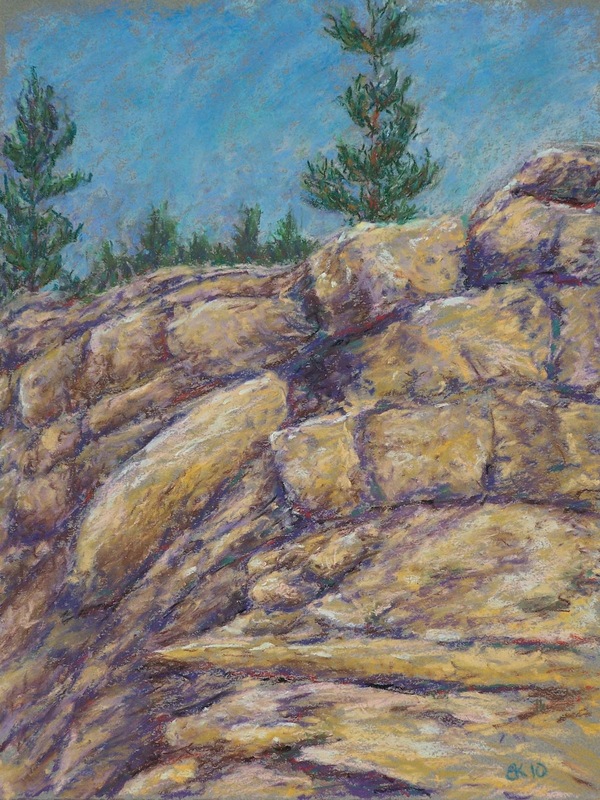 The first image where the rocks appear to be golden in color was photographed indoors with both daylight bulbs and a halogen bulb in a lamp that I paint with. The other image where the rocks appear more gray was photographed in a shaded, but naturally lit area (my patio) with a neutral background. I did not manipulate the image except to resize it. When I an standing there painting in the studio and when I look at the image of this painting, what I see is the one with the gray rocks….which is accurate. So that tells me that the lights I use in my studio work for just that…BUT to photograph them in that light changes the tones greatly. Now if I were painting that scene from southern Nevada for instance, the color of that rock would be actually the color of the first painting. Down around Lake Mead in the Valley of Fire, you tend to see this golden to reddish color of rock. But that wasn’t what I saw when I took the reference photo in SE Montana! Another BUT…if I had shot an image in the late day when the sun was close to going down…I might have gotten that sort of image! Holy Cow!! Light is a huge factor in painting and photography. So the message is…whatever painting you are photographing, it is best to do that in natural light. Now I know that professional photographers aren’t running outside on their patio to shoot their images….but I am talking about those of us who are photographing our work for either shows and/or archival needs and want a good representation of the piece of art. There have been good articles written about photographing art for shows in Artist’s Magazine and Pastel Journal and one might still be able to go to their web sites and dig them up. I just wanted to illustrate simply for you how differently a painting can look under different light. And I did these with a digital camera using the automatic setting for close up work. If you read articles about photographing art, you would probably find the recommended procedure is to use a SLR camera, not automatic settings, a light meter, certain f-stops, etc. A good digital camera can give you great results as I have shown. 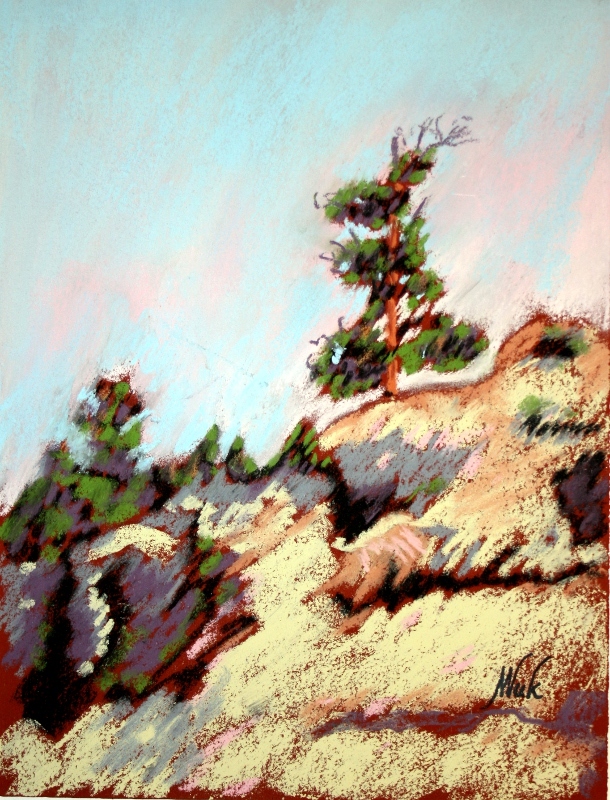 Another little piece is the 3rd in the series of 50 off the 90…only by about 100 miles or so…﻿It is a 5×7 on Canson black paper looking to the east toward the Blue Mountains near Dayton, WA. Spring in that area brings out about every color of green! It is a beautiful area. Those big hills are farmed on top and down some of the sides…and beyond the fir trees there are lush fields of grain any place a plow can get to! So, experiment with some photography of work and see the difference! As a note, the last show I attended – and I think I may be touched on this last time – some of the paintings looked quite a bit different when viewed on the monitor when compared to seeing them in real life. And the catalog print images were even different again. It’s all the variables! Just something else we need to pay attention to! 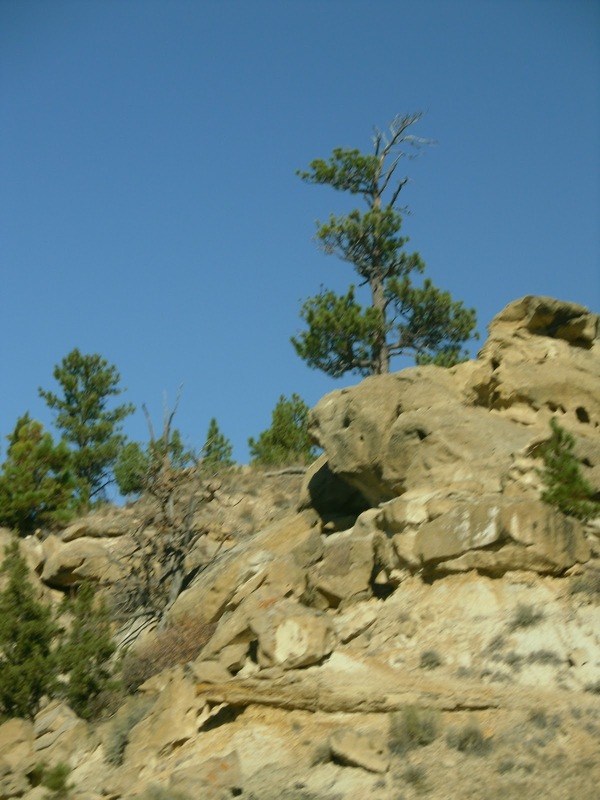 A couple of posts ago I invited anyone who wanted to the paint the photo of the sandstone cliffs in southeastern Montana to send me their images and I would post them. I was happy to get one from Mario who took time away from his Soft Pastel News site to paint the cliffs and to also get an image from another blogger and artist Erica. It is fun to see the difference of interpretation between the 3 of us. I know Mario told me he did a really pretty quick sketch in about 40 minutes. I spent about an hour on mine. Erica didn’t say how long she spend working on hers. I am happy to share these…thanks so much Mario and Erica! So here is an observation if not a lesson in lighting from my perspective and I am referencing my work in this… I painted mine in the studio where I use daylight bulbs in the lights. I then photographed it in the same light. I tried a few different camera settings and in all of them, the rocks have this warm look to them. I do believe that if I take this image outside and shoot it again, the tones would be different. There was no flash with this one, but it almost has that appearance. I don’t normally shoot images in the studio light, but rather go outside and shoot them in the actual daylight. However, this is November and it was about 6 p.m. when I finished this – and this time of year, in this part of the world it is quite dark outside at that time of day! I have done paintings that when you photograph them, the color alters enough that it just is not right. I have taken the same image with 2 different cameras and gotten 2 different looks as well…in studio light and in daylight. When I photography out of doors, I usually do that with a neutral background and in a covered patio area so there is not direct sunlight, but still good light available for the shot. This usually gives me what I need. Just last week I looked at the entries for the Northwest Paste Society International Show on line. Then on Saturday I got to see the show at the gallery. One thing that I noticed on not just one, but several was how different the images on the monitor looked when compared to what was printed in the catalog and when compared again to the actual image. It just made me think that when one is taking digital images of your work for a show, try your best to get the image you see to be as close as possible to what that painting is! Maybe enlist the help of a professional photographer if you are trying to get an image to send to a show…you really want it to be a true representation of your work. So this is the beginning of the series 50 off the 90…as far as being off the 90…this was pretty far. It wasn’t that the distance was huge, but it was on a dirt road about 50 miles from the interstate. There was no gravel on the road, just a graded dirt road that boasted a road sign that said something like “road is impassable when raining or during the winter months.” I know this to be true. This dirt is “gumbo” which when wet, will gather more and more mud until you can go no further. My mother one time said she thought you could use gumbo like clay and do a sculpture with it. She tried and it worked. She fashioned some horses and some people out of the mud. They held up pretty well, never were fired – but she made her point! Her sculptures were often a topic of conversation and the consensus was that gumbo was good for something! The second in the series is an image of a little creek in eastern Montana that probably only sees water during the spring and early summer and then dries up and sun bakes over the summer months. Even in May there were only some water holes on this creek and they were pretty shallow; not long a source of water for wildlife or beef. There wasn’t a lot of color in this particular place…it was just interesting. This image was another that I will photograph outside again, even though this is a pretty close example of the actual painting. Both of these paintings today were done on Wallis paper that I tones with orange pastel. 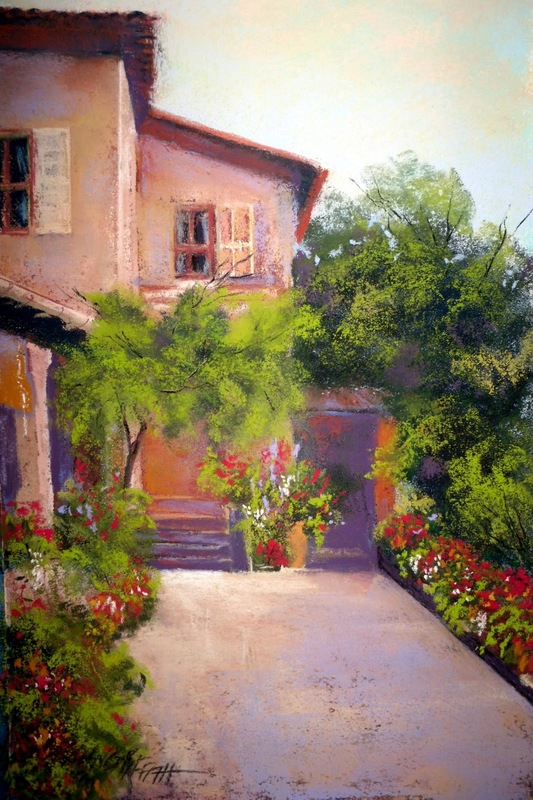 I used mostly Sennelier and Diane Townsend pastels on these. So with all this being said….thank you again Mario and Erica for sharing your work. My best to you all and keep painting…. 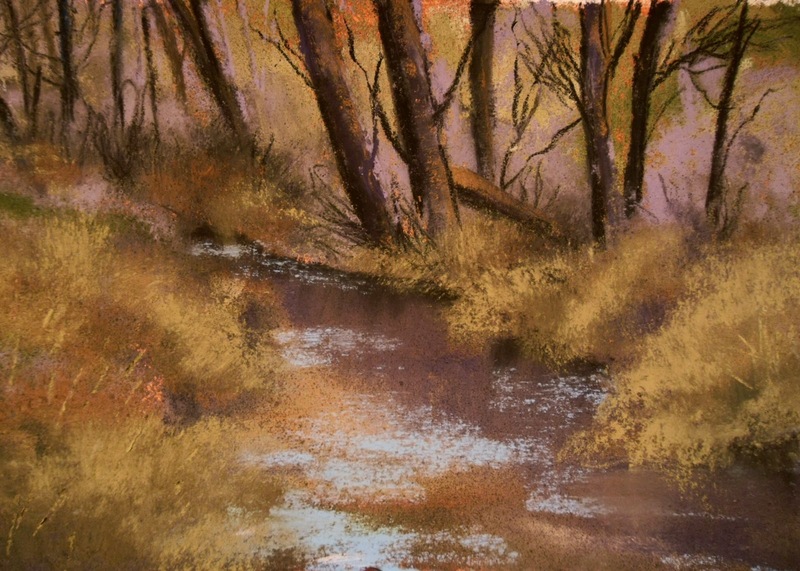 I finished a pastel that I have been working on for some time of the portico.. And when I look at this again, I see some refining points I will still do. Darken the passageway on the right and brighten the sunlit wall a little more. I have definitely decided to do the next series of “50 off the 90”. This is a pretty broad scope of opportunity since I didn’t declare HOW far off of 90 I might extend my search for the places to paint! I definitely got some great reference photos from my trek out in the hills on Thursday and they will be appreciated on the upcoming cold gray days that comes with January and February! I painted outside yesterday in the balmy weather, but today that’s not an option with it being drizzling and chilly. My series will all be a similar, if not the same size…probably the 8×10 or 9×12 size. This is to be again a learning and experimenting project and I may do the same composition in a couple of different ways to keep things interesting and that of a learning experience. At times, I will ask my readers to take an image and paint it and then will post those…The lesson in that is to see different interpretations of the same subject. That’s something we can all learn from….so don’t be shy, send me some images of the the cliff and junipers that I posted a few days ago. Email them to me or post them on comments if you can (I don’t know if that is possible)…email is bzgriff@charter.net. I will get that one done soon and post it. Planning on my Open Studio event…this year it will be focused on just paintings and prints. We will rearrange the furnishings on the main floor of our home to be gallery like and hang lots of paintings on the walls. Hours will be 10-4 Saturday and 10-3 Sunday Nov 19th and 20th. It is a fun time that we invite people to come in and see the new work and have a cup of coffee and a treat. It is the best of time! So, if you are in the neighborhood of Walla Walla, WA…follow the “A” boards to 938 Mountain Park Drive and stop in, sit and have a cup of Joe and look at the paintings and most of all visit! Back to the 50 of the 90…my goal is to complete this at least by mid year. 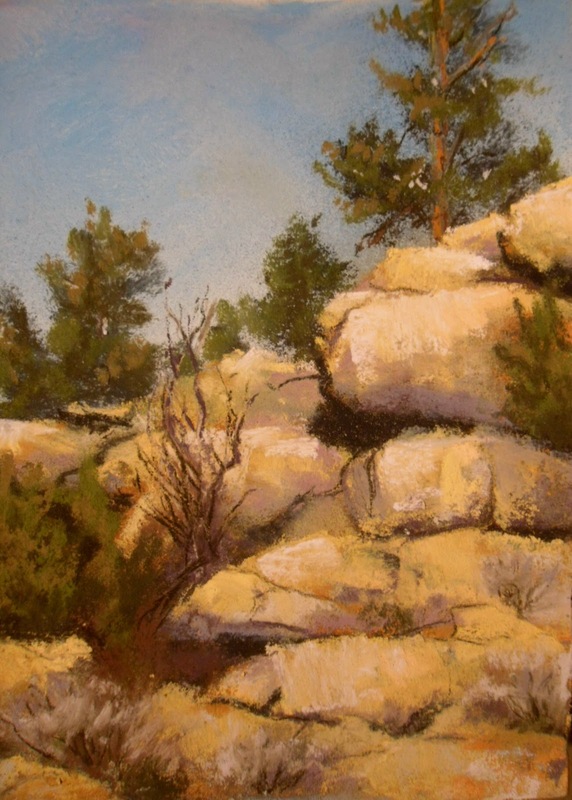 I am plotting on a car trip to New Mexico and painting there for an extended time. If that all comes to be…it would be a WHOLE ‘nuther project to work through. So with that said…I am heading to the studio to paint…Happy painting! After returning from Montana and since my last post, I have been busy with a variety of “stuff” besides painting which can make me a little itchy. Finally this week I was able to get things in order and get out and do some painting. Our weather is still beautiful and it lends to getting out and doing some plein air work as well as going on photo expeditions for those reference photos that are so important when the fog sets in and the dampness is bone chilling. Bambi and I went out this afternoon with the good intention of doing some plein air work, however, the colors were so incredible we agreed that it might be in our best interest to make it a “photo: day and shoot images. And that is what we did. We trekked down along some creeks and drove up remote roads in the Blues. We stayed out late enough to record some of the fabulous light that happens around 4 o’clock this time of year. We will appreciate this day come mid January and fog! I am contemplating a new series…it will be different from the small works series where I used one composition and recreated it differently 100 times. I have decided this will be small works, but in the 8×10 or 9×12 size…what I haven’t decided on is the number and if the pieces will have a relationship to each other. I am leaning toward something like “Back roads” or “Roads and Streams” or maybe “Montana On My Mind” or “The Path of Lewis and Clark”. Maybe it will be “50 off the 90″…50 images of areas of interest off of Interstate 90…since I-90 begins or ends in Seattle and goes across the panhandle of ID and through MT and continuing on east to Boston. Outside of Billings you get the option of getting on I-94 which takes a northerly route through North Dakota and continuing eastward, joining I-90 at Lacrosse, WI and then veering off again toward Madison, WI, crossing 90 in the Chicago land area and ending in the Detroit area. So with that little bit of highway geography, about any area that I wander around is near I-90 and it is diversely different between Seattle and Billings, MT. A small bit of trivia….up until a few years ago there was one stoplight on I-90…at Wallace, ID…that went away when a new section of interstate was built that circumvented the downtown area of Wallace. So with that rambling…I think this next body of work will be spots of interest between Seattle and Miles City, MT. They might be near I-90 (or 94 as one closes in on MC) or a hundred miles off of it. I promise them to be interesting spots, remote, probably. Shows to look forward to include The Northwest Pastel Society International Open Show that opens the 13th at American Art Company in Tacoma, WA. This should prove to be a good show with quality work. I am anxious to see the show hanging in this beautiful gallery space. The next NPS event is the members show which will be at the Kirsten Gallery in the university district of Seattle in a wonderful multilevel gallery. that show opens in April, 2011. I am considering going to the International Association of Pastel Societies annual convention/workshops in Albuquerque next June. 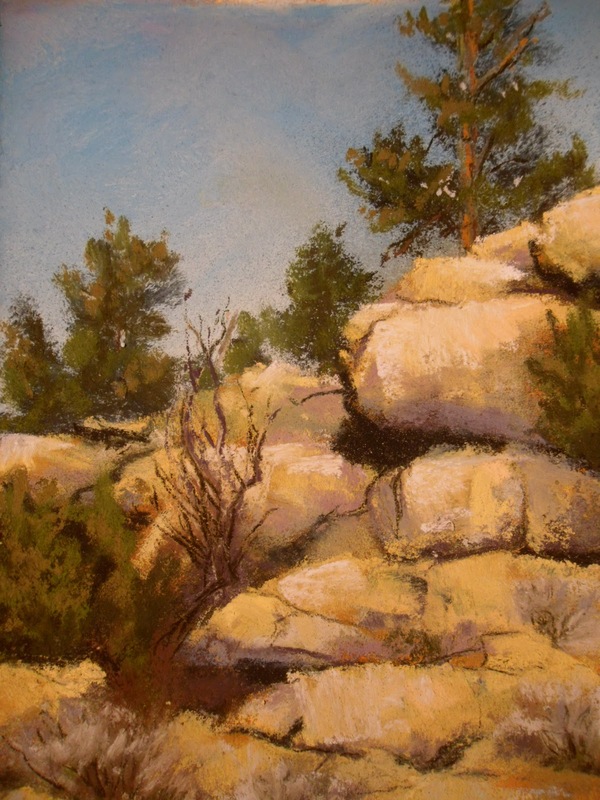 That would be a prime time to take some time and spend painting in NM which is something of a desire of mine. The thought of being able to combine a trip to paint and a trip to a pastel convention which should be like a huge candy store for pastelists seems almost too good to be true. For me this could be a whole new series. The potential for a landscape artist traveling the route I would take would take me through some splendid sites like Zion, Bryce, etc. and on into CO and northern NM. 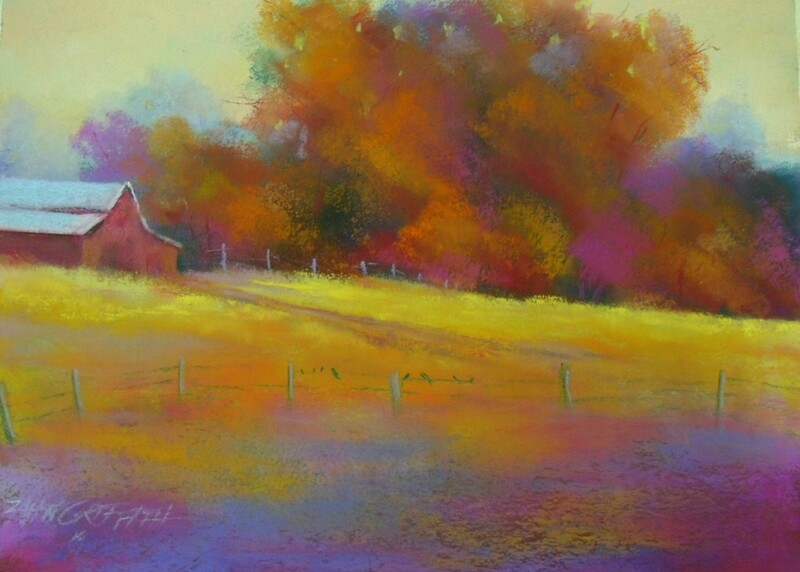 “Fall Kaleidoscope” was given an honorable mention in Jerry’s Artarama’s Summer Pastel Challenge using the Mungyo pastels. I had not tried them before, but like these semi-hard square sticks. They are touted to be light fast and the colors are very nice. Prices are great. I did a trial run with a box of 1/2 sticks (64) and continue to use them for burnishing and some under painting. I like these! this little piece was actually done entirely with the Mungyo’s on Art Spectrum paper. 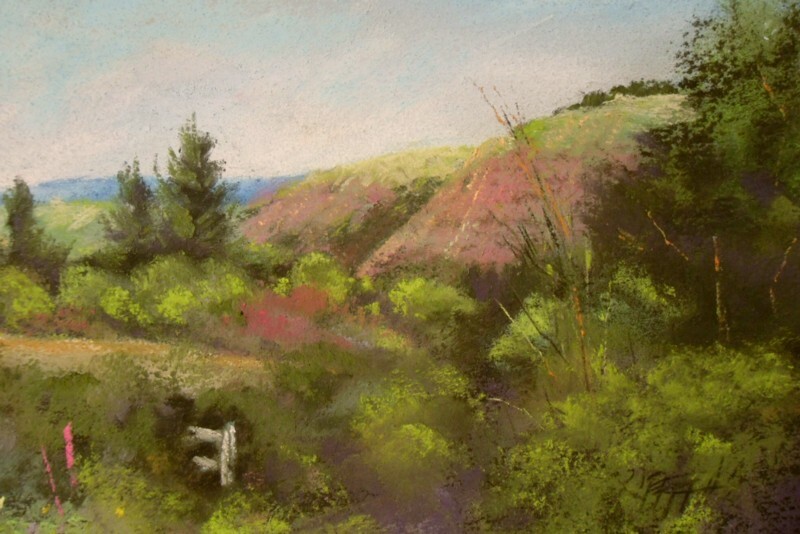 I also used some on the painting at the top which was done on black Art Spectrum and is a scene along Patit Creek. 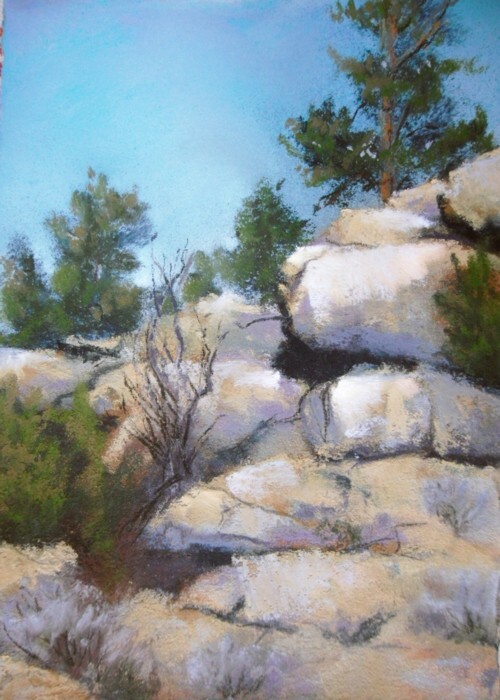 I am also a big fan of Jerry’s plein air frames….very good value especially when you can take advantage of a case lot and when they are on sale! good luck and happy painting!